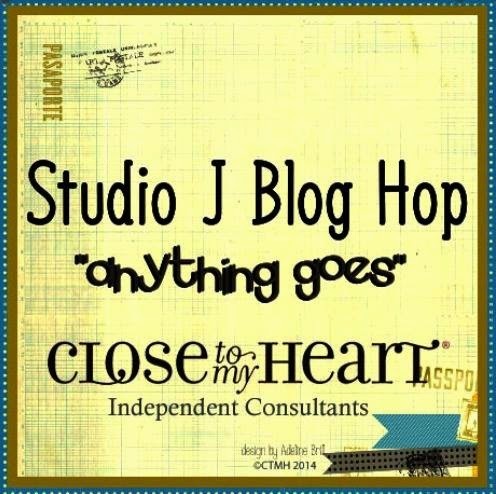 I'm so excited to have joined a new monthly blog hop that will bring you some GREAT ideas for using Studio J- our online scrapbooking program. If you've never used it- you are missing out! You only pay when you create something you love. $2.95 for a digital download of both high and low resolution files of both pages of each layout. Shipping is a flat fee for tons of layouts. Minimum requirement of 4 2page layouts for printing. If you are coming from Jen Patrick's blog then you are headed in the right direction. There are 7 blogs in the hop so to hit the next one in the loop just find the link at the end of this post. 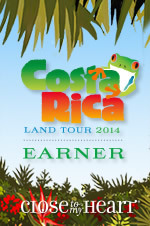 IF you are a regular visitor to this site you may have seen this page in the past. BUT- with this posting I am including step by step directions to create a layout like this one. 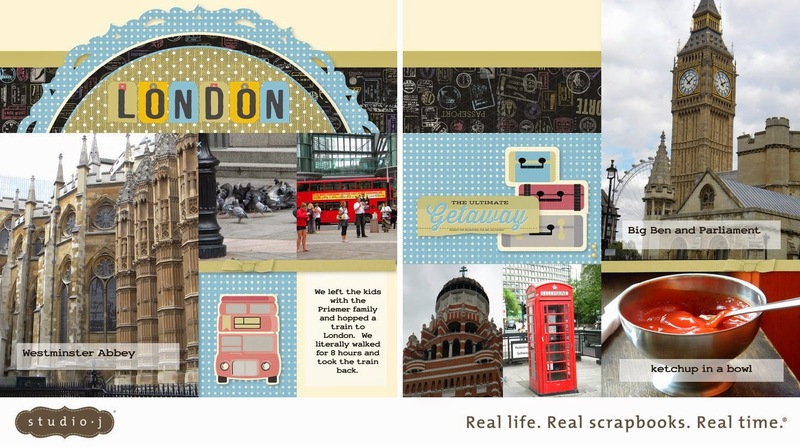 I just LOVE the new Wanderful paper and stickers and I was so happy to finally scrapbook a few more photos from a day trip to London when we spent a week in England in 2010. The travel theme was perfect for these! Next- head on over to see what Adeline has created. WOW - you are one lucky girl to be able to travel to London and see all of these sights first hand! Fabulous layout as well! Love your layout! Makes me want to go!